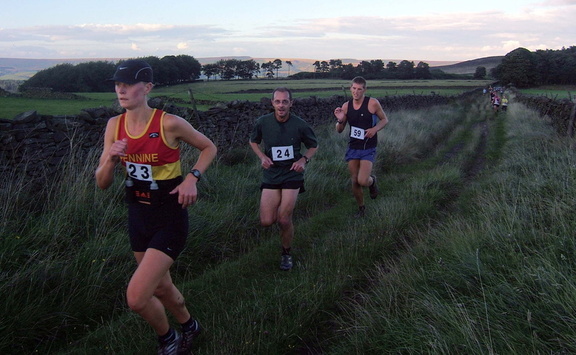 Dark Peak Fell Runners is an athletics club for (mostly) hill & mountain running. The club is based in Sheffield and although the majority of the 300+ membership is local, the famous brown vest has migrated as far New Zealand. The club caters for a wide range of running interests and abilities, from short local races to ultra distance events, with some individuals achieving success in the English and British championships. The club thrives on minimal organisation and if you have a slightly anarchic sense of humour and an appetite to compete in unusual events, you will feel at home with people of a similar disposition. Fell running has a culture for individuals to take personal responsibility for safety when out on the hills, as terrain and weather conditions can be severe. Therefore it is expected that you assess your own physical ability, mountain craft skills, clothing and equipment before going for a run.